Today, 13th of February, the Independent National Electoral Commission (INEC) has debunk the information flying around that it is only the index finger (Warning Finger) that is allowed for marking a ballot paper. “INEC has changed the pattern of voting without the majority of citizens being aware. You don't have to vote with your THUMB again. You vote with your INDEX FINGER ( Warning Finger). Any vote cast with the THUMB is void (cancelled) vote. 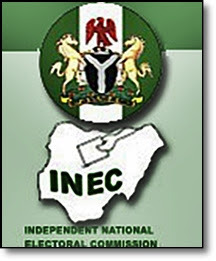 The Independent National Electoral Commission (INEC), has made voting more easy by saying that BALLOT PAPER is not finger sensitive, Use any finger but should ensure that his or her mark is clear and placed inside the box of the political party of his or her choice and does not stray into another box.